Johannes Architectural Woodworking built the Sports Column bar in a totally custom manner, but retained the qualities that make all great saloons popular. For many people, the warmth of a sturdy wooden bar in a familiar tavern fulfills a "Cheers"-like image of an inviting place to relax and unwind. Such an image focuses on simple pleasures and usually would not incorporate complicated design elements into an already good thing. Thus when Johannes Architectural Woodworking Inc. of Coralville, IA, designed the Sports Column sports bar in its own home town, it wanted to include many of the "neighborhood bar" attributes that people enjoy, yet create a totally custom design with several new twists. It departed from the norm in terms of construction, adding large columns, special lighting elements, stained glass and elaborate carvings to create a bar that is both unique, yet classic. "We borrowed some aspects from other bars that we have built before. But in this case, the back bar and the fact that there was such a high ceiling that made this a very dramatic setting, which we tried to enhance," said owner Steve Johannes. 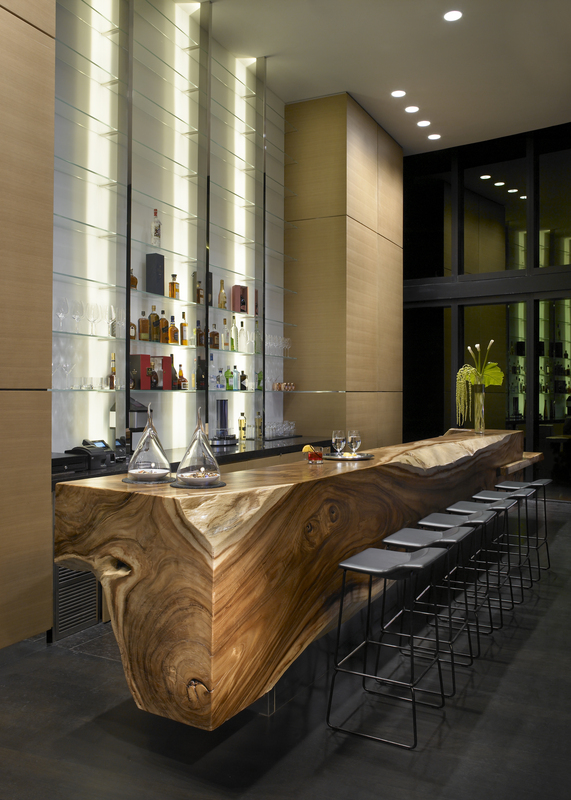 "This is a very masculine bar, with wide panel moulds on raised panels and large columns. The clock tower also adds to the bar's height and grandeur." The project was chosen as the top winner in the Design Portfolio Awards "commercial/institutional" category. 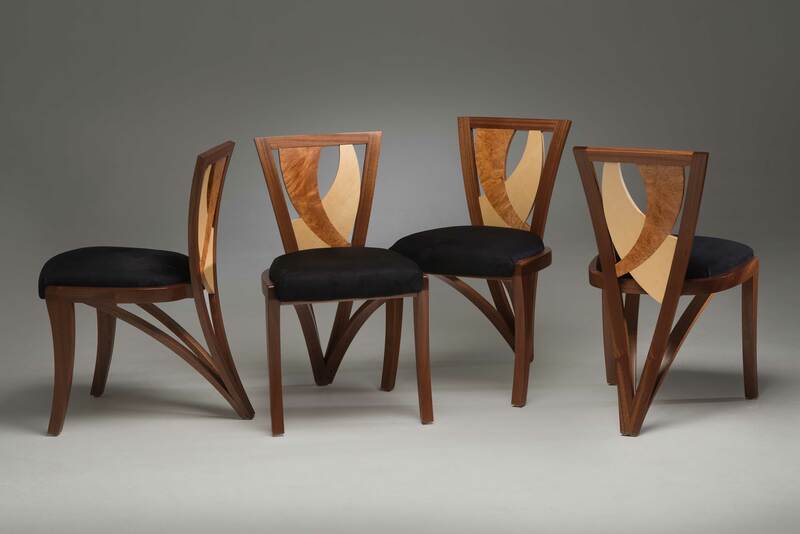 The company's forte is all kinds of specialty woodworking, Johannes said, ranging from curved and spiral staircases and entertainment centers on the residential side, to conference rooms and reception desks in the commercial arena. The 24-year-old company has also built between 20 and 25 bars as well. Annual sales in 1996 were $800,000. "For the most part, if something is made out of wood, we'll tackle it," Johannes said. "We also do a lot of historical restoration, such as when we duplicate front porches on old, Victorian-era homes in the area." The cost for the company to build this Honduran mahogany bar was approximately $50,000. According to Johannes, it was constructed using basic woodworking machinery. All mouldings were run on a shaper or a small moulder, and the columns were staved and turned on a lathe. "Although we have a sliding table saw, a 29-head boring machine and an edgebander that we use in the production of 32mm cabinetry, on a project such as this, no machinery makes allowances nor replaces the need for highly-skilled craftsmen," Johannes said. 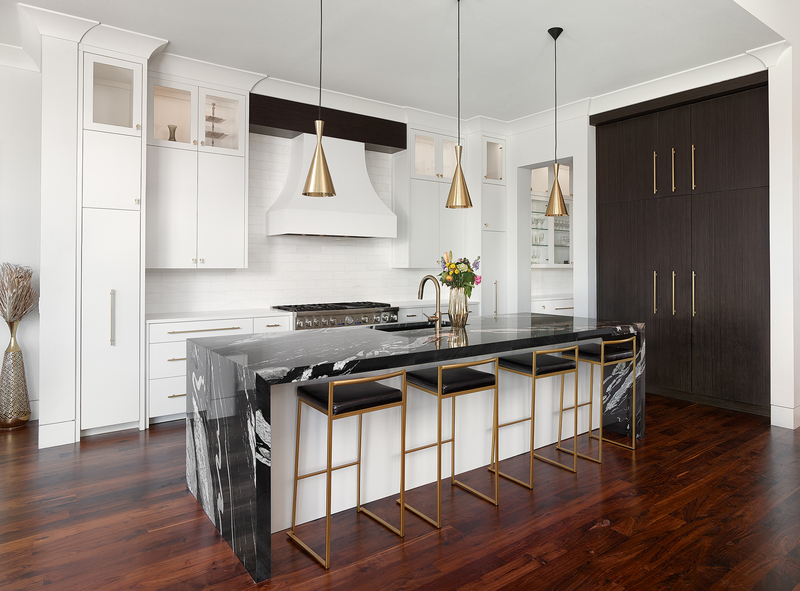 For the project, the company used hinges from Stanley, Guardsman conversion varnish for the finishing, laminates from Wilsonart, Corian drip pans with brass inserts at the tappers and stainless steel waitress stations. Johannes said that the company end-spliced the bar top and strip-laminated it as one piece, rather than field joining it. It was then attached to a 9-ply substrate with non-hardening adhesive and pocket screws. All items were back sealed. Johannes said he chose this process to allow for expansion and shrinkage, which can occur in the Iowa climate. "Typically, with a bar that long, it would be sent out in three pieces and reassembled. But we had the transportation that allowed for it to be made as a one-piece unit and then installed. The fact that there are no field joints makes it more durable," he said. As an example of what could be called humble pride, Johannes added the company's name in the aforementioned clock that is at the bar's highest point. "About halfway through the project, we were looking for a clock," he recalled. "I finally found one that was the right size through the Internet. We re-stained the poplar frame and had someone remake the face so it had our name on it. "At first, I hesitated to use it, because I'm not really the type to wave my own flag," he added. "But I thought it was a nice piece of work, and the clock was a subtle way to say that we were proud of what we did."